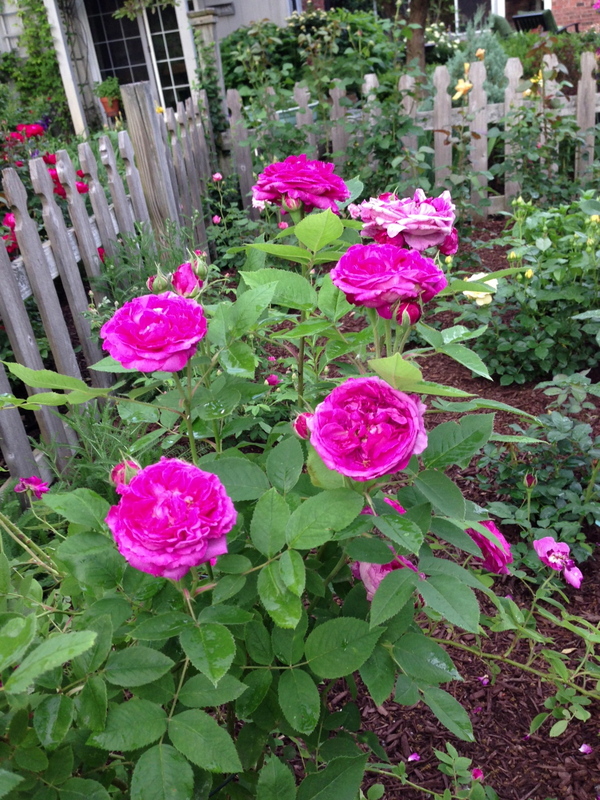 Reine des Violette is a lovely Hybrid Perpetual that dates back to 1860. 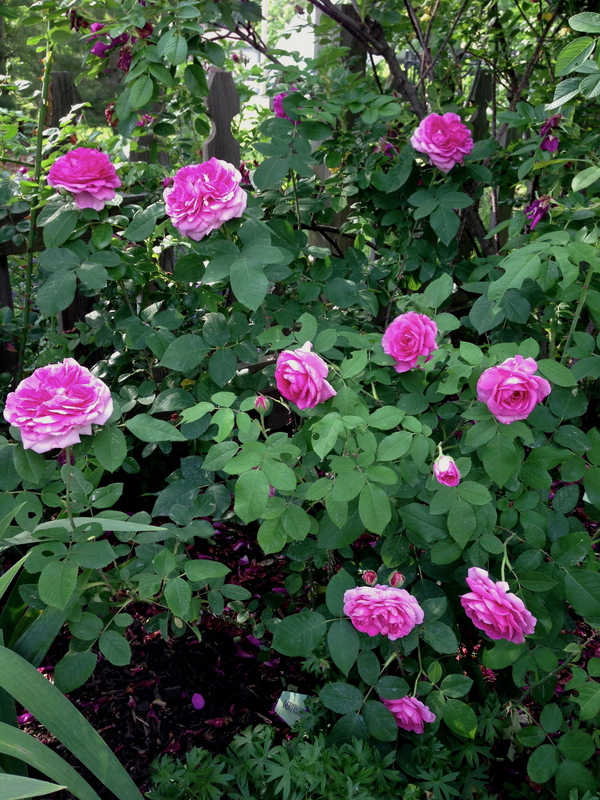 Hybrid Perpetuals were developed as hardy garden plants between 1840 and 1900, by crossing the Portland, Bourbon and Gallica roses and were mostly used as cut flowers in the days before hybrid teas. 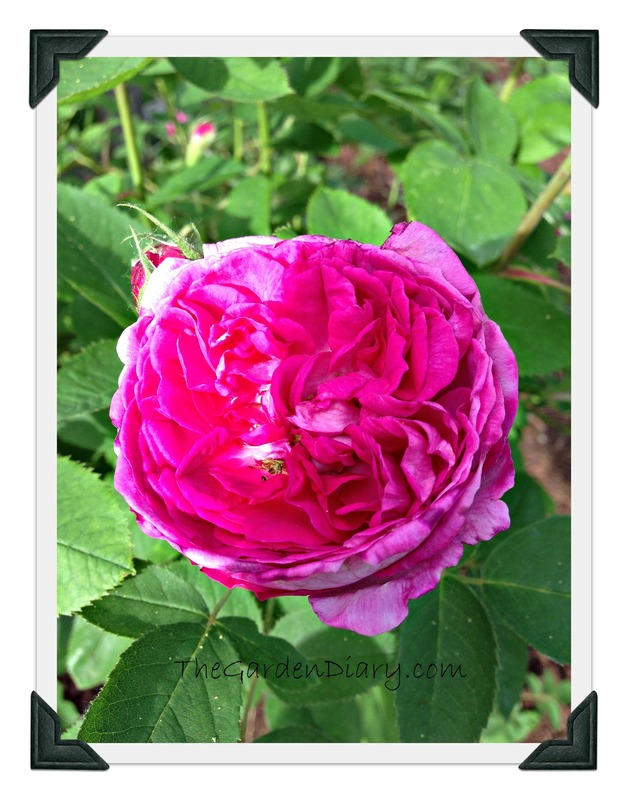 I have 3 of these roses and find them oh so charming! 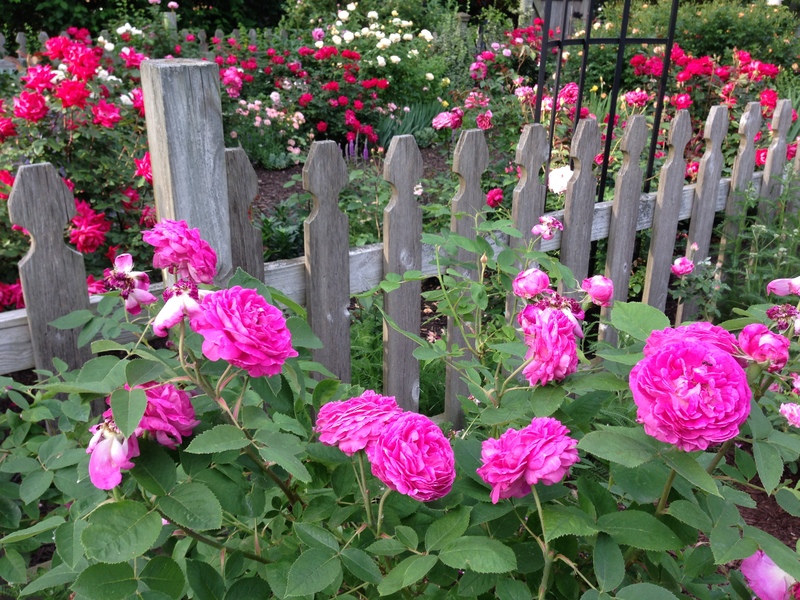 The have that wild, old rose growth habit and multi-petaled, quartered blooms that I just love! This year she is giving me a run for my money with Black Spot and Powdery Mildew. Just a little to damp out for her! Hey it’s been a little to damp out for me too! We’ll get through it. I can’t imagine why there would be so much difference. Might take a picture and send to the company you bought them from. One of the first things I do when there is a problem it to take a picture and then try cutting them back so they can restart. 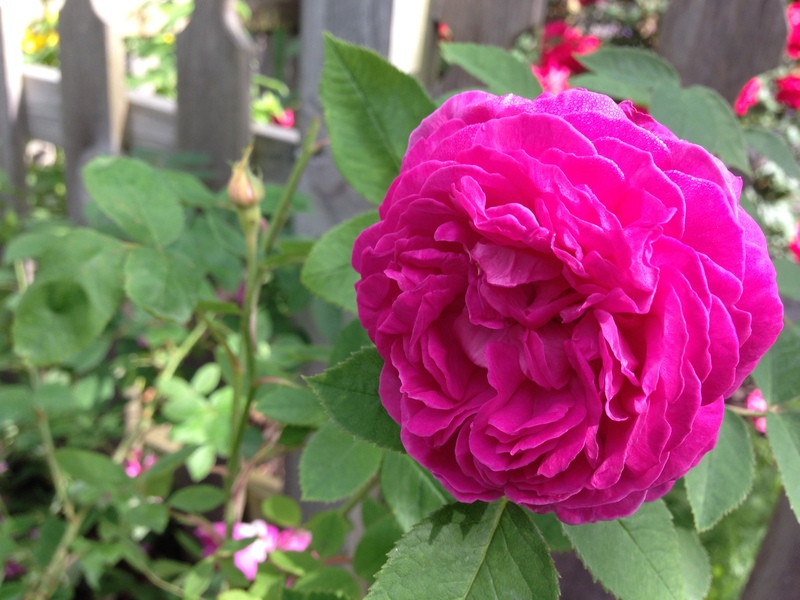 With a once blooming rose you might not get resolution until next spring. Sorry! Good luck.